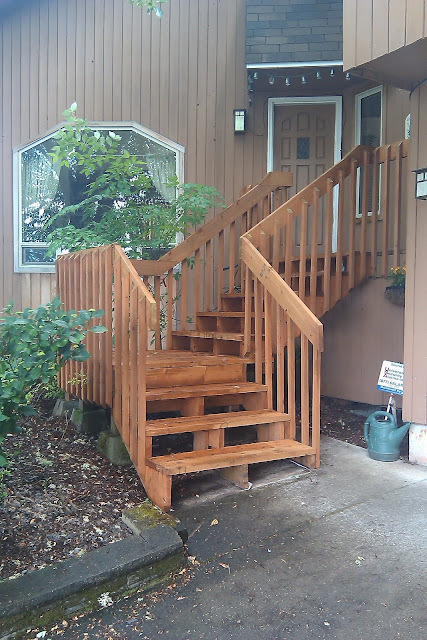 This was a replacement of dry rot damaged stairs. The old staircase was more narrow. Consider It Done Construction recommened changing the dimensions to a nice, wide stairway all the way to the top, and the customer agreed it would be an improvement. It's a more inviting entry now.